Desert Daughter, a unique line of authentic Bedouin cosmetics and healing products manufactured in modern, well-equipped facilities, is the first cosmetics line of its kind in the world. 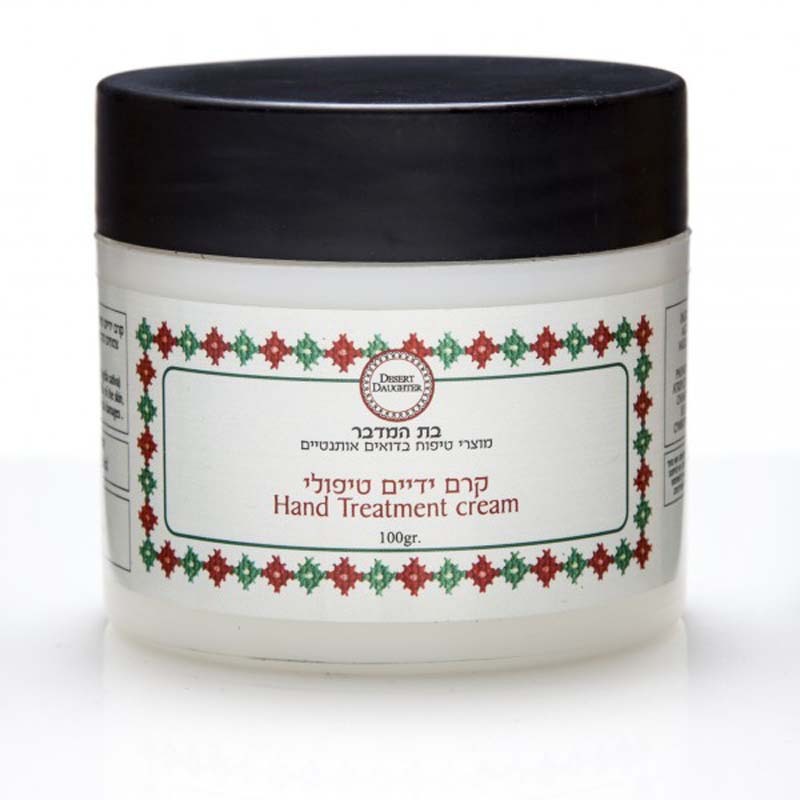 The plants and the herbs for the products are harvested and crafted in the spirit of Bedouin tradition. The line is purely natural, based on a collection of secrets for creating cosmetic and medicinal treatments passed on to Mariam, from one generation to another, within her Bedouin family. While studying in England, Mariam Abu Rkeek noticed people's growing awareness of the importance of natural healing. 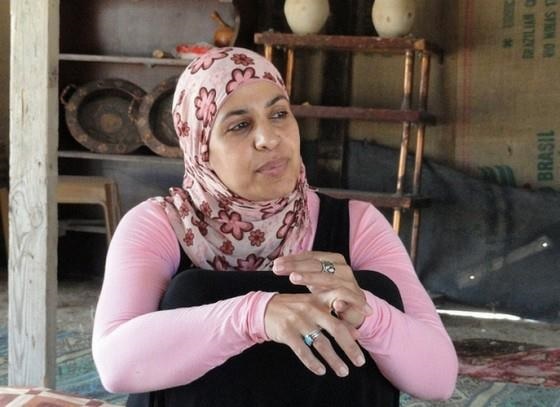 She decided to develop a Bedouin line in order to preserve the Bedouin tradition as well as to offer a solution to the growing demand for natural cosmetics and healing products. All of Desert Daughter's products are based on the renowned black cumin oil, famous for its healing features. 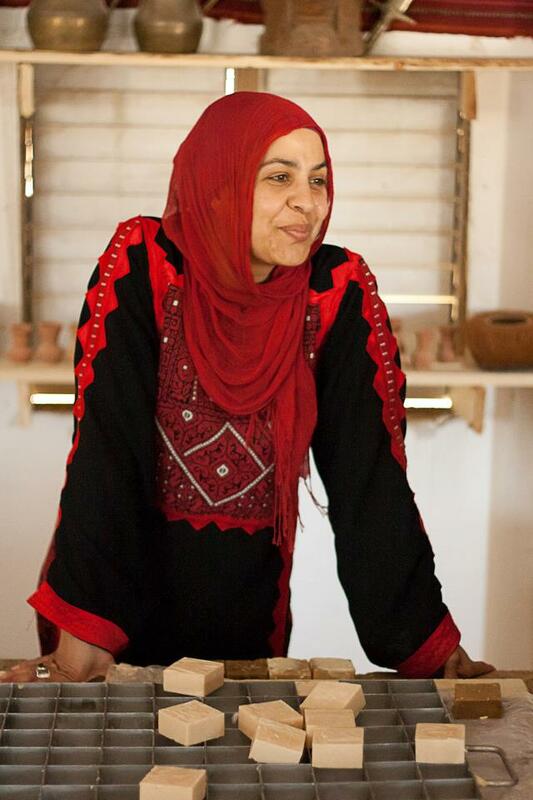 Desert’s Daughter employs women from the Bedouin community and supports women’s status by enabling them to build their own business. Additionally, the place of production is used as a site for the new generation to learn about their own tradition, as well as to expose other communities to Bedouin’s ecological and environmental knowledge. Natural Soaps - The black cumin soap is the basis for all of Desert Daughter's soaps. Combined with additional organic herbs, it is well suited for treating particularly stubborn skin problems. It is also used for spiritual cleansing. Each soap has its own unique formula and natural scent. They do not contain added foaming agents (SLS), preservatives, petroleum products, or animal products. 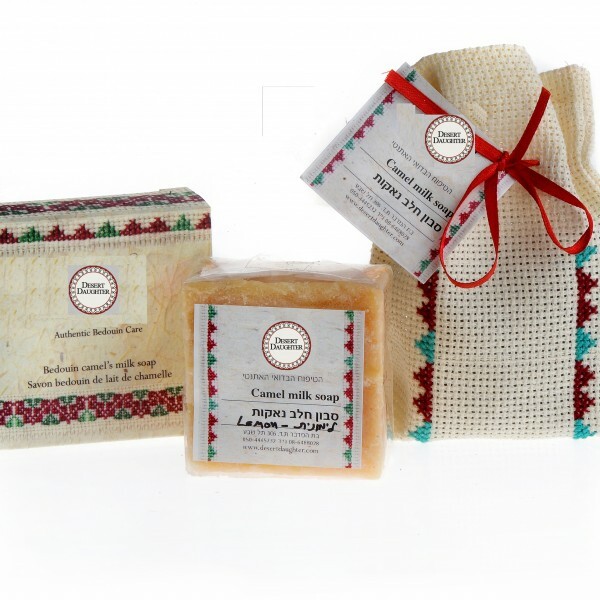 Camel Milk Soap: a collection of soaps for skin care and irritated skin. These soaps are made out of olive oil and camel milk. none of its healing for the skin & essential oils such as patchouli, lemongrass, musk, and amber. Beauty Products - a collection of creams and oils for the skin, soaps, and serums, all 100% natural. Anti-aging products such as Malva cream, face serum , eye serum suits old and dry skin. Healing Products – natural products for treating skin problems such as acne, nail fungus, eczema, itching, healing Hand cream, Healing foot cream, body oil . Also oils for pain relief and for hair etc.